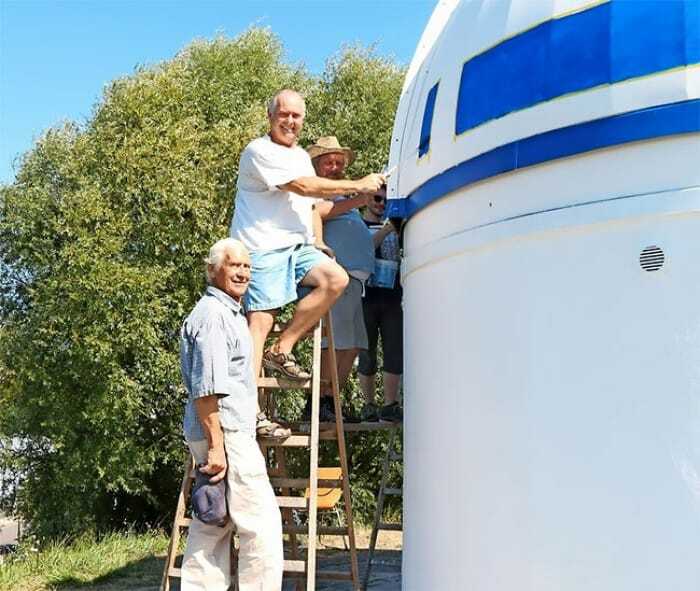 German Professor Painted An Observatory - Star Wars Fans Will Love It! A long time ago (September last year), in a galaxy far, far away (Germany), a German professor took his Star Wars fandom to the next level. Hubert Zitt is a professor at Zweibrücken University of Applied Sciences, and he is well known there by students. He has a reputation for an incredible knowledge, but also for his lectures on Star Trek and Star Wars. The science fiction lover specialises academically in electrotechnology. I’m not going to explain what that is because frankly, I have no idea, but it sounds complicated. As a respected mind in the field, Dr Zitt is both a tenured professor at Zweibrücken University of Applied Sciences and a speaker on science fiction across the world. His lectures on Star Trek, originally starting with a “Christmas lecture”, went viral on the internet, shooting him to fame. The same lectures earned him the title of Global Top Speaker. Since 2005 he has lectured about science fiction at many universities and conventions. However, his proudest lecture was at FedCon, Europe’s most popular Science Fiction Convention. His knowledge even granted him the opportunity to write the preface to the book “Star Trek in Germany”, which was no doubt an honour. He also hosted regular lectures about “The Physics of Star Trek” at The University of the Incarnate Word in San Antonio, Texas over the years. However, his greatest achievement lies in the field of art rather than science. 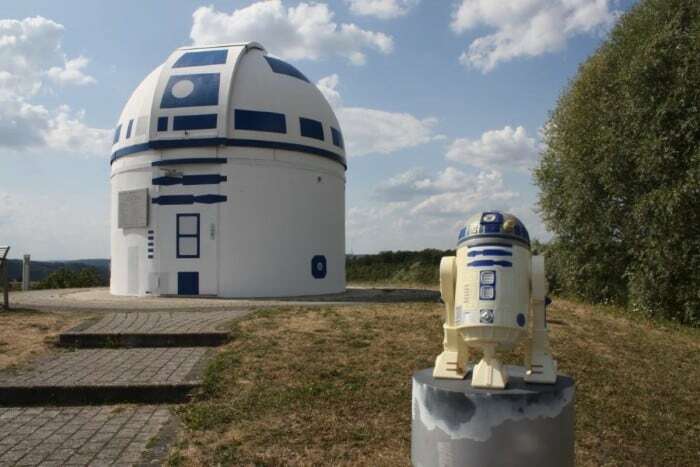 Last year, Dr Zitt painted the Zweibrück Observatory of the Natural Science Association to look like Star Wars character R2-D2. Everyone’s favourite droid appears in every main-series Star Wars film to date, and now features on the German hillside, too! Zitt enlisted the help of his father-in-law, painter Klaus Ruffing and science-fiction loving students to help him complete the task. The monumental task turned out brilliantly, and the German professor’s ideas came to life before their very eyes. 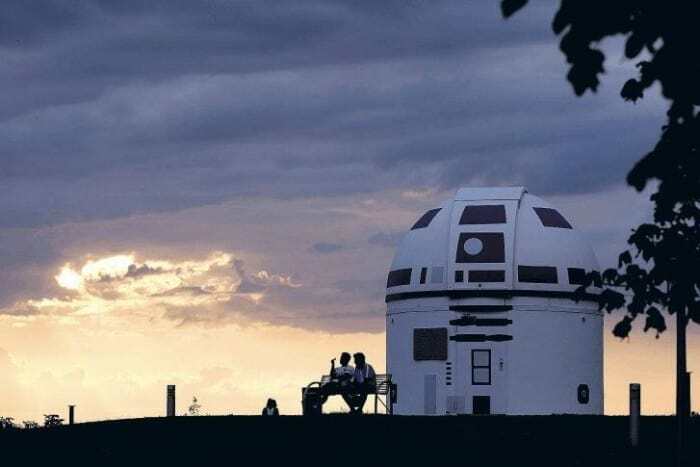 He knew he had done well, however, when Star Wars actor Mark Hamill tweeted about the observatory. 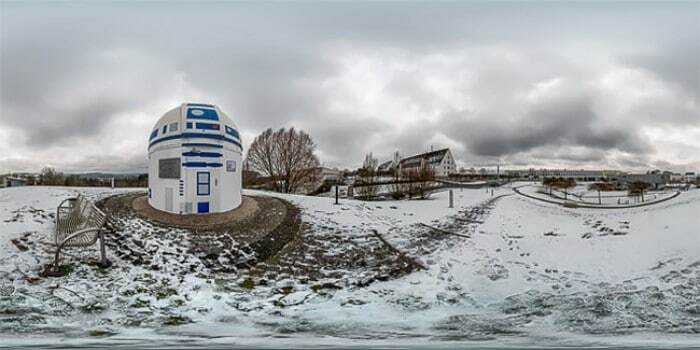 He tweeted, “R2-D2 Observatory Transformed Germans Into Giant Nerds.” All in good faith and humour from Mark. What do you make of the giant observatory droid? Let us know in the comments, and share with any Star Wars-minded friends and family! 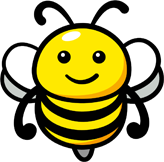 Don’t forget to check out similar stories on Happiest.